On my motorcycle, the Law is clear. Check with her first. Pretty Face Masks? Those are for women! Oh, sorry, babe, I meant “other, lesser women." I know you’re just as into riding as I am. That’s one of the things I love about you. That’s why I bought this Urban Camouflage Neoprene Face Mask. See? Other people would think that was shock. I, however, know that it’s amazement. Because I know that you’re very happy to have a Biker Facemask that looks invisible in the city. Of course, since it’s Camouflage, it works in any Urban environment. And you know as well as I do that I won’t wear it when your parents come over. It’s just for the motorcycle. 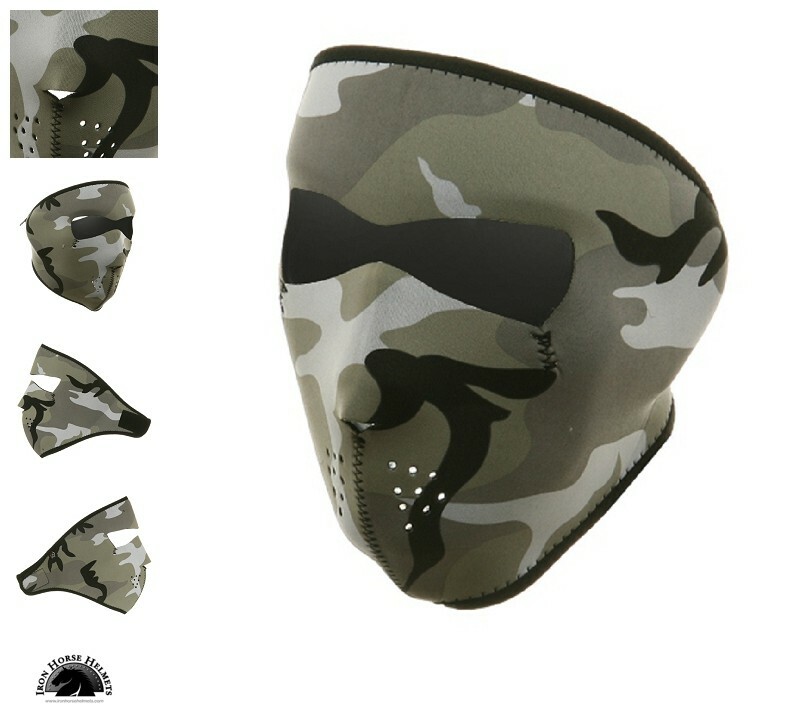 Neoprene facemask features full coverage of the face and ears. Stretchy neoprene material is warm and water resistant. Patterns are reversible to solid Urban Camouflage Half material. Velcro closure ensures great fit with goggles, with a helmet or without. One size fits most. Urban Black & White Camouflage design.